According to Scott Thistle of the Portland Press Herald, “a relatively small number of voters will decide whether to expand Medicaid and approve a casino in York County in November…..But if 2017 ends up looking anything like 2011 – the last year voters had no statewide races to decide except ballot questions on casinos – then less than half of the state’s registered voters will cast ballots.” There is still a question whether the Pro Casino will get permission for absentee voting, and reeking havoc with the low voter turnout. Overall voter turnout in 2011 was 43 percent, as voters decided against two casino ballot questions for Lewiston and Biddeford. It seems like the casino thing in Maine is like washing your hair – mix shampoo in hair, rinse out shampoo for clean hair, and repeat. However in Maine, they are always seemingly rinsing out the dirt from Shawn Scott & Co.
Economic experts continue to be skeptical about the York County casino bringing more than 2,000 jobs and $45 million in annual tax revenue to the area. After all, the building of Oxford Casino included the prediction of $60 million in annual tax income, but has only produced about $32 million annually. Hollywood Casino, Bangor MaineThere are some who consider Hollywood Bangor a rousing success, and a great example of how casinos can help communities keep taxes down, create new jobs, spur tourism and economic development and generate additional funding for critical education, health care and agriculture priorities. But, this is the same property that was asking for property assessment reduction in a dispute with the city of Bangor? The lower assessment that resulted from those talks stemmed largely from Hollywood Casino’s declining revenue since the opening of its main competitor, Oxford Casino. Rousing success? Hollywood has had its slow times over the years. So, NETG still thinks that a third casino closer to Wynn Boston Harbor (Oxford & Hollywood are more north) will not be able to compete and will not do what the pro-casino group Progress for Maine wants. Maine Question 1, the Casino or Slot Machines in York County Initiative, is on the ballot in Maine as a indirect initiated state statute on November 7, 2017. A “yes” vote supports this initiative to authorize the Maine Gambling Control Board to accept an application for a license to operate slot machines or a casino in York County, Maine. A “no” vote opposes this initiative to authorize the Maine Gambling Control Board to accept an application for a license to operate slot machines or a casino in York County, Maine. The third casino’s window in Maine has closed. Another option for expanded gambling is needed to take the place of a full casino in southern Maine. While Connecticut waits for a legislative decision to possibly allow a commercial casino to accompany the tribal casino monopoly, Maine has just been dealt with the opposite proposal – a tribal casino to be allowed in a state of commercial gaming casinos. According to Focusgn.com, Maine’s state legislature’s Veterans and Legal Affairs Committee discussed the possibility of legalizing a bill that would allow tribes to offer casino gaming in the state. Rep. Benjamin Collings, D-Portland, said that the tribes should be able to create an economic system that would bring benefits to the tribes. Several other casinos proposals have been made over the years by multiple Indian tribes, but with little success. The Houlton Band of Maliseet Indians tried to bring a casino into Aroostook County four years ago. In 2003, efforts by the Passamaquoddy tribe and Penobscot Nation to build a casino in Sanford were rejected in a statewide vote while the Hollywood Casino was approved on the same ballot. A Passamaquoddy owned and operated casino and race track facility in Washington County was also voted down in 2007. Similar efforts for another tribal racino in Washington County were also thrown out when the Maine Racino Initiative was rejected in 2011. In 2013, the Penobscot Indian Nation has tried to pass a bill to enhance its existing gaming operation—a 30-year-old traditional bingo enterprise that uses a bingo caller and bingo cards. And it’s the fifth year in a row its efforts have been thwarted by the state. But Maine officials claimed that the Nation’s proposed Class II bingo machines are really Class III slot machines—a claim that’s refuted by two of the most reputable companies in the country that manufacture, test and certify gaming machines. Class III is a designation applied only to “tribal” casinos and are Vegas-style Slot Machines used on tribal casinos such as Mohegan Sun, & Foxwoods. They are exactly the same, Class II are tribal casino machines that work as a bingo machine and may look like a slot machine, but doesn’t act like one in paying off the player. Check out the following links for more info on Class II & Class III. Chief Kirk Francis talks about why Penobscot Nation officials are upset by the state’s delay of license request that would allow the tribe to use Bingo machines. The state says they’re slot machines, the tribe says it’s part of Bingo operations. So why is 2017 so different? Maine has, in the past been accused of pursuing policies that force the state’s recognized tribes into a cycle of dependence rather than fostering economic self-sufficiency. Maine currently has two commercial casinos, Oxford Casino and the Hollywood Casino Hotel & Raceway Bangor, while the Passamaquoddy tribe operates a high-stakes bingo parlor in Indian Township. 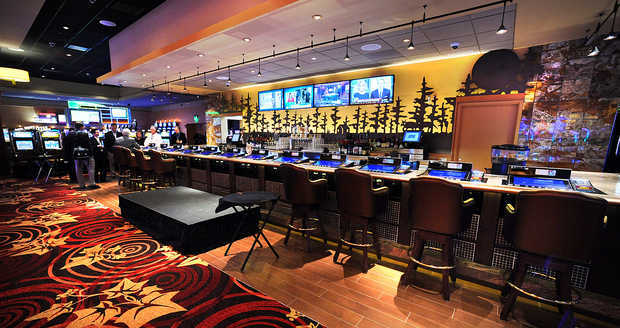 This bill would authorize the Department of Public Safety, Gambling Control Board to accept applications for casino licenses from the states four recognized tribes,which comprise five tribal communities: the Micmac, Maliseet, Passamaquoddy and Penobscot. These licenses would permit the operation of table games and up to 1,500 slot machines at multiple facilities. It would also exempt the tribes from the state regulation that no casino may be built within 100 miles of an existing casino or slot machine facility. Twenty-five percent of net slot machine revenue and 16 percent of net table game revenue go the state general fund. York County, Maine, on the Mass & NH borders where the third Casino in Maine is proposed. As one can imagine, Hollywood Bangor & Oxford Casino officials are not too happy. It has another fight to the southwest of Maine – a proposed York County casino. The Legislature is expected to put the casino question to voters in November because backers collected enough signatures to place it on the ballot. Lawmakers criticized an effort to bring a casino to York County saying the company behind the proposal has a questionable history and would be handed exclusive and lucrative rights to build the casino if voters approve. Could Maine support all these possibilities? Probably Not. While it is the 39th largest state in the Union – larger than South Carolina & W. Virginia, and slightly smaller than Indiana – only 10 states have less residents, three of which are also in New England! Tribals nations in the north do have the distance away from New England casinos and a close proximity to Canada. But York County? That’s another question that won’t be answered for a while – if it ever gets approved. So, when NETG heard of the Oxford Casino planning Board of the latest surprising proposal to expand the property by adding a hotel, a 275-seat multipurpose room and doubling the restaurant and bar capacity, our interest was rejuvenated. 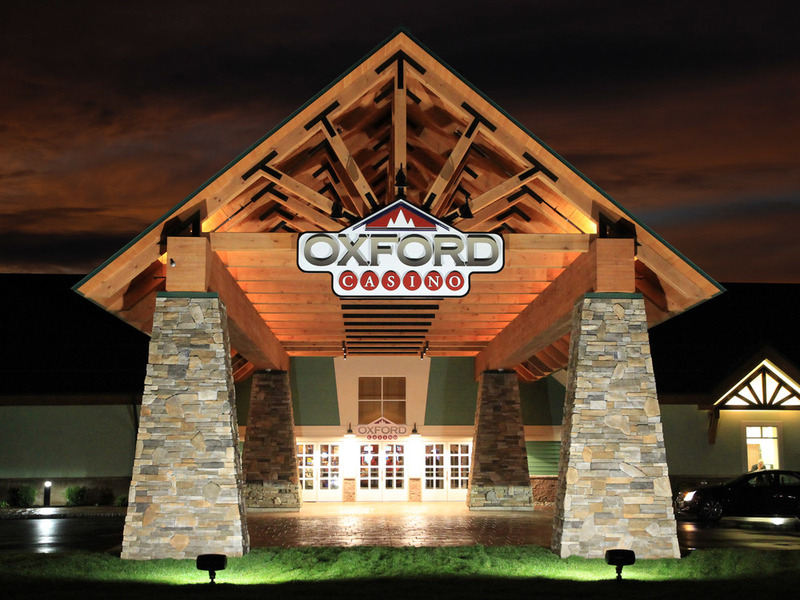 Recently, however, the Oxford Casino planning Board has tabled a decision on the proposal, with due to the amount of information needed to analyze and digest. The bar area at the Oxford Casino is pitiful in size and VP paytables. Major overhaul is needed. The renderings are still being revamped with some floor plan decisions still to be made, “but this is pretty close by this point.” Churchill Downs, which bought the gaming enterprise in 2013 for US$160m, is continuing to advance the project including a 106-room hotel on three upper floors, a small office expansion off the north side of the building for back-of-house operations, administration, and human resources. The company aims to begin construction in August with a possible “soft opening” in April 2017. The board voted to table a decision on accepting the project until the next meeting May 12. With only one bar, and little for food options, this proposal could be the Maine Casino expansion needed, instead of building another brick-and-mortar casino in southern Maine. At least the Hampton Inn being built across the street will help initially with long term stays. But so much more needs to be done as a destination. The fact is, Oxford has been the casino for Maine, even though Hollywood Casino, Hotel & Raceway in Bangor has been around longer. Of two, Oxford continues to show more stability. We hope the expansion goes through. Good luck to Churchill Downs.